Home - D. Jen Brown, Esq. Je parle Français - Call Today! D. Jen Brown has a passion for fairness in the American workplace. If you believe that you have been the victim of race or gender discrimination in the American Workplace, or if you believe that you have suffered retaliation because of your support for others who were subjected to same. Contact D. Jen Brown. As a former federal prosecutor appointed to the Department of Justice by U.S. Attorney General Janet Reno, D. Jen Brown served with compassion and evenhandedness at trial and on appeal while arguing before the federal circuit courts of appeal. Her skilled, professional performance earned her a continued appointment under U.S. Attorney General John Ashcroft. In her capacity as defense attorney, she zealously defends her clients with compassion and strength. D. Jen Brown recognizes the importance of communication, and the need for her clients to understand their options and have access to her when needed. Call NOW to discuss your situation by telephone at (845) 454-0835 or send a message, and let’s get to work on your problem! Criminal law. D. Jen Brown is licensed as a New York criminal defense lawyer, protecting the rights of individuals charged with federal and state crimes. Civil rights. In her work as an employment discrimination attorney with experience at the federal level, D. Jen Brown represents individuals who encounter discrimination in the workplace, coordinating with both the New York State Division of Human Rights and the federal Equal Employment Opportunity Commission. Family Law. As an empathetic family lawyer, D. Jen Brown will guide you through Family Court as you seek to resolve disputes over child custody, visitation rights, child support issues and domestic violence in the home. Immigration Law. As an experienced immigration attorney, D. Jen Brown will help noncitizen families with criminal charges, removal proceedings, status adjustments and citizenship applications. D. Jen Brown speaks fluent French. Call a lawyer who cares. Contact Poughkeepsie criminal defense attorney D. Jen Brown. Ordinary people sometimes get into bad situations. When charged with a crime, an ordinary person can face years in prison. The Constitution guarantees a fair trial to everyone, rich or poor, and everyone accused of a crime is entitled to effective legal help. When trouble strikes close to home, we all need solid representation, good legal advice, and a forceful, persuasive, and effective advocate. 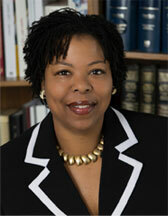 D. Jen Brown is a passionate advocate for her clients and a skilled trial attorney. As a private practitioner, I handle a wide variety of matters. I believe that being of service is important, and that legal services should be delivered with integrity, compassion and attention to detail. and messages containing confidential or time-sensitive information should not be sent.